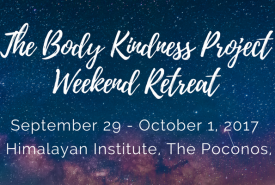 The Yoga and Body Image Coalition is committed to building conscious community and highlighting the work that inspiring yogis are doing in their local communities and beyond. We’re pleased to introduce you to Kimberly Dark, a team leader in the Yoga and Body Image Coalition. There’s a lot of talk about “body positivity” within the yoga community as of late. What does that phrase mean to you? Body positivity means loving and accepting the body that’s here today. Exactly this body that’s reading these words right now. After all, you have no other body. The body of the past is gone and the one which may exist in the future is but a conjure. When we come back to the breath and a calm, accepting love of this moving, breathing body, we have power. In that place, we become capable of seeing patterns and challenges that may have been hidden to us. 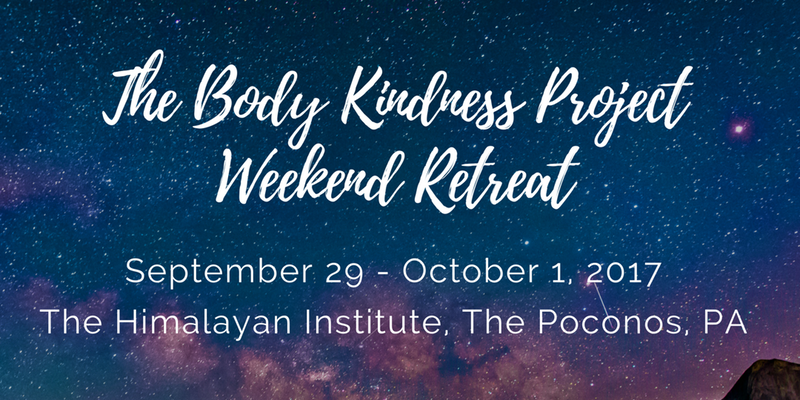 Body positivity means being awake – to every moment, every bliss, every experience of life. The body is your home, the place that nurtures action. Can you describe “healthy body image” ? Healthy body image involves a combination of being IN the body, and understanding how the body is seen by others. Wow that takes practice! Many people become ruled by the external gaze. We want to look a certain way in order to receive certain rewards – or even just to feel good about ourselves. That’s not so healthy. It IS healthy to acknowledge that bodies are seen and privileged differently and to offer as much love and acceptance toward ourselves as possible as we choose how and whether to work toward greater body justice. How can we as a society promote a healthy body image for all? Just as we work in opposition in yoga asana (extend the fingertips up; root the feet down), we work in two directions personally and culturally as well. It’s possible to root down into physical sensation, cultivating strength, balance and flexibility in the body. At the same time, we can extend out through our understanding that some bodies receive more respect than others; some bodies are more privileged, praise-worthy and others are socially shamed. By moving in both directions, we prompt others to notice what shame often hides from public discussion. By staying deeply rooted in our healthy practice and self-love, we cultivate the strength and compassion to create social change. How do you define self-empowerment? Self-empowerment means acknowledging that we are always two things at once: an inner flame and a social force. By cultivating the strength of the inner flame (by directing the breath and the mind) our abilities as social creators increase. It’s important to remember that power is not just something “out there.” It’s also inside each of us and can be used in the smallest daily interactions as well as in the most profound social action. Self-empowerment means remembering that my dignity can heal others – even if they don’t yet know they’re wounded. Why do you believe these issues and this work is important? Personal and cultural change are twins. That which is unhealed in ourselves becomes broken in the culture. Yoga is a tool, a process by which an individual can find personal balance, strength and flexibility. 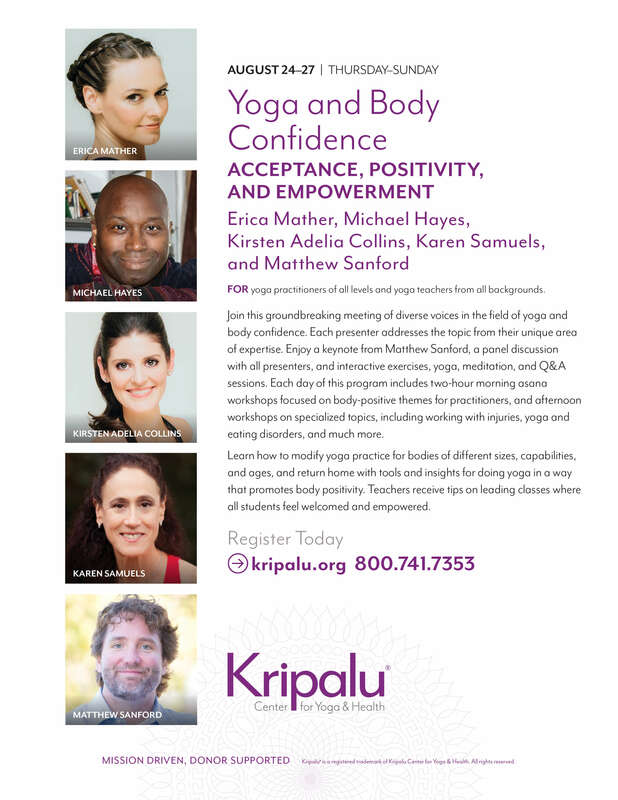 Using the eight limbs of yoga – alone or in group practice – we begin to heal the culture’s negative ideas about bodies simply by embodying our own dignity, peace and radiance. Other practices serve too; every compassionate practice is a good path. In a world of individuals who love their bodies and feel their quiet power, it’s simply not possible for body shame, fat hatred and fear of aging or disability to thrive. Kimberly Dark is a writer, storyteller, professor and yoga teacher. She travels the English-speaking world doing programs and performances, facilitating workshops and helping people talk about the body in culture. Learn more at www.kimberlydark.com. 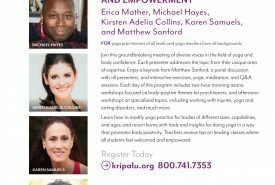 She also leads yoga and story retreats at Kalani Honua on Hawaii’s big island, where the active volcano acts as co-facilitator. Her retreats use yoga to help us uncover the stories we hold in our bodies. All bodies, all stories are welcome. Learn more here.